On the 31st of October to the 1st of November, professionals from business leaders and C-suite executives, to key decision makers and elite IT experts arrived to the London Excel for this year’s Microsoft Future Decoded. At last year’s Microsoft Future Decoded, more than 12,000 attendees discovered how digital transformation is changing everything we do – and how to take advantage of that change. This year, attendees took a deep-dive into Digital Transformation and AI to learn how businesses can grow while managing disruption in these exciting times. 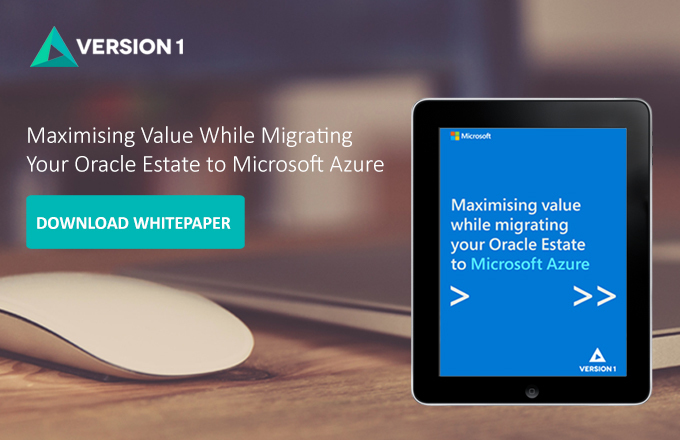 David Gardiner from Version 1 Advisory Services shares his thoughts on this exciting topic in the following blog post from Microsoft Future Decoded. The 2018 Microsoft Future Decoded conference centred on one critical theme – the AI revolution. The world as we know it has evolved from Business Intelligence through many phases of improvement and refinement, but the maturity of technology now provides us with a powerful utility for our businesses, our people and the citizens of the world. Interestingly, as we move towards that futuristic Sci-Fi model of ‘artificial’ and combining that with an ‘intelligence’ – the key message of the event was that the outcomes for businesses will be great – if AI is treated well with care and responsibility. Microsoft has completed research on AI and has discovered that those companies adopting AI are outperforming those who have not. They now wish to encourage more investment in this evolving technology opportunity. 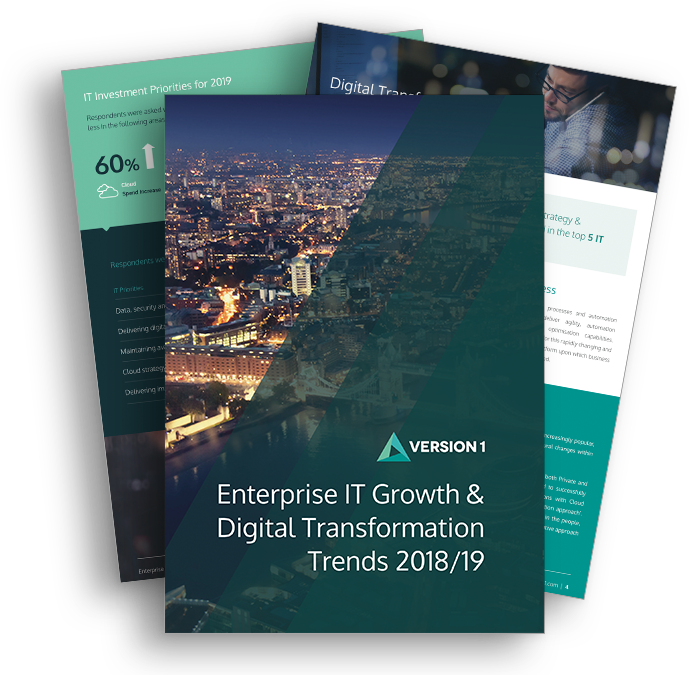 Startlingly over 36% of companies surveyed did not have any AI included in their Digital Strategies and the key takeaway from this was to ‘get with the game or risk being left behind’. Throughout the keynotes and many sessions available to the 12,000+ attendees this year, the message conveyed was that it will be the right combination of people and technology investment that will make AI ultimately successful for businesses. To help guide businesses, Microsoft has published this research in a report titled ‘Maximising the AI Opportunity’ to support best practice and provide guidance on getting started. The underlying food of AI is data. It is is now in abundance and waiting to be leveraged. However, there were many speakers stressing the need for caution and consideration as we open up that world of opportunity. AI empowers us to ‘do good’ but could also be harmful to our human population. That means augmentation not replacement. AI still has a long way to go, an exciting future and if it’s used in the right way, all of humanity will enjoy what is ahead of us. Version 1 was a sponsor of this year’s Microsoft Future Decoded and our experts in attendance received an overwhelmingly positive response from attendees. The footfall to our stand of Version 1 representatives was constant in relation to our AzureStart services and our recently released whitepaper. Our live video broadcast at the event from Roger Whitehead of Version 1 Advisory Services regarding our expertise in migrating Oracle workloads to Microsoft Azure encouraged and interested visitors. There was the recognition that moving these workloads to Cloud will be highly beneficial and provide more flexibility to leverage that content from an AI perspective. Another positive from the event was that we were treated to a very warm and insightful view of the life and the world of Sir Michael Caine OBE. His philosophy was to ‘decide who you want to be and work hard at being that person the best you can’. His many funny stories were encapsulating and the audience finished their day with a smile. If you missed your opportunity to pick up a whitepaper at Microsoft Future Decoded, please click here to download your copy of the whitepaper now.